Credit: Ram Singh, USDA ARS. URBANA, Ill. – Growing in its native Australia, the unobtrusive perennial vine Glycine tomentella could easily be overlooked. But the distant relative of soybean contains genetic resources that can substantially increase soybean yield, according to a new study from the University of Illinois. "We saw yield increases of 3.5 to 7 bushels per acre in soybean lines derived from crossing with Glycine tomentella," says Randall Nelson, study author and adjunct professor in the Department of Crop Sciences at U of I. The discovery happened by accident. Researchers from U of I and the USDA Agricultural Research Service had been working for years to introduce disease-resistance genes from Glycine tomentella into soybean. After developing thousands of experimental lines, they finally managed to move genes from the Australian vine into a new soybean line that was resistant to soybean rust. But the researchers noticed something else. "Some of these lines looked pretty good, so we decided to do some yield testing. This turned into a project for Ph.D. student Abraham Akpertey from Ghana. He found several lines that yielded significantly more than the soybean parent," Nelson says. "We were very surprised. 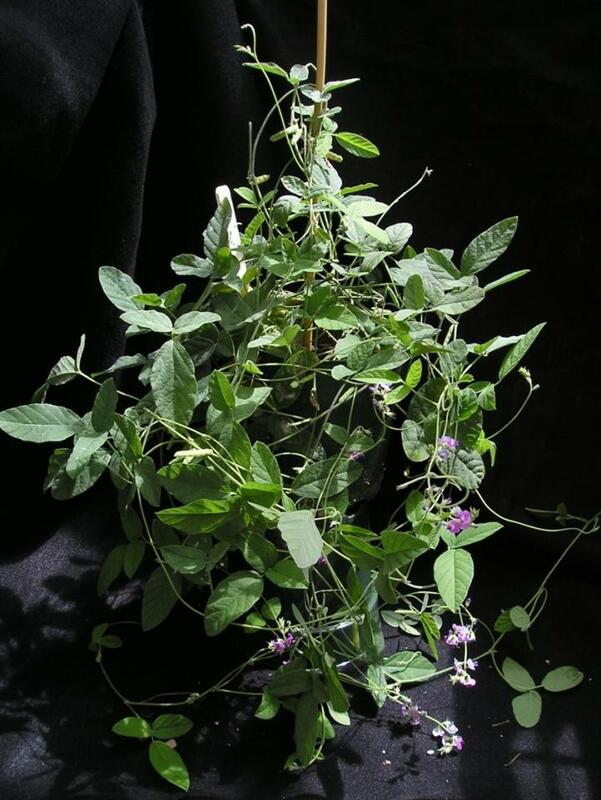 To look at it, Glycine tomentella has no agronomic characteristics — the seeds are less than a tenth the size of soybean seeds. We never expected to get high-yielding lines out of this cross." The process of getting Glycine tomentella genes into soybean is highly complex. The two plants are so distantly related that any mating would ordinarily result in aborted seeds. But Nelson's collaborator and study co-author, Ram Singh, developed a growth hormone solution he sprays on the young pods to keep seeds from aborting. "He rescues that little, immature seed, cultures it, and grows it into a plant. Then those are back-crossed repeatedly with the soybean variety 'Dwight,' until all of the Glycine tomentella chromosomes are lost and we recover a soybean plant," Nelson explains. The group plans to map the genome of the promising plants, with the ultimate goal of identifying the genes responsible. Breeding efforts are already underway to develop higher-yielding lines since 'Dwight' is a 20-year-old cultivar. "Last year, we released a material transfer agreement that would allow any soybean breeder to cross with these lines. I was surprised we didn't get many requests, because these are such unique resources. With this yield information, I hope we can get more people interested," Nelson says. The article, "Genetic introgression from Glycine tomentella to soybean to increase seed yield," is published in Crop Science [DOI: 10.2135/cropsci2017.07.0445]. Nelson's co-authors include A. Akpertey, R. Singh, B. Diers, G. Graef, M. Mian, J. Shannon, A. Scaboo, M. Hudson, C. Thurber, and P. Brown. The work was supported by the United Soybean Board and the North Central Soybean Research Program.